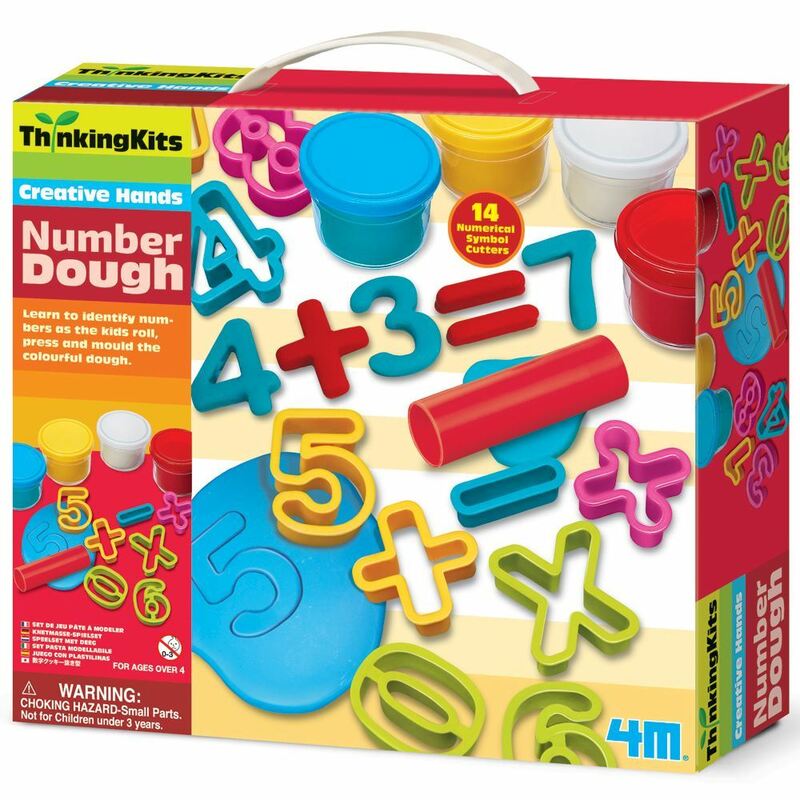 Learn to identify numbers as kids roll, press and mould the colourful dough. Learn to identify numbers as kids roll, press and mould the colourful dough. Helps your child develop math learning, fine motor skills, shapes recognition, curiosity and creativity. Contents: 4 tubs of dough, 1 rolling pin and 14 numberical symbol dough cutters cutters. Age 4+ years. Part of the Thinking Kits Creative Hands range. Distributed in New Zealand by Holdson.